Can I put a musical instrument into storage? You can store pretty much anything in a self storage unit, although possibly your contract might make mention of more outlandish items that they would rather you didn’t store, such as yourself. Of course some items are more valuable than others, and some more particular in their storage condition than others. Musical instruments are a classic example of this – they are crafted often from rare materials, may be somewhat pricey, and may have a great emotional attachment to the owner. They can range from items that are virtually classifiable as antiques, to modern electrical instruments and amplification. 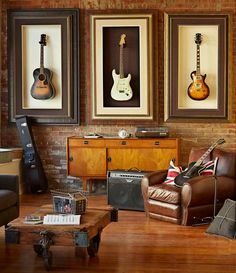 Selecting a good storage unit should be fairly straightforward, but it may be worth speaking first to fellow musicians or your insurers about their recommendations for storage. Finding climate controlled storage would be a very good idea in most cases, as some instruments are going to react quite badly to varying temperatures and humidities. And try to find out any specific advice for your instrument further to the very general guidelines below. First things first, any musician worth his or her salt needs a proper case for their instrument, preferably a hard case that can withstand a few knocks and keep the instrument in immaculate condition with a good interior lining without any tearing or holes. Also ensure that your instrument is recently cleaned and in optimum condition – prepare it as best you can, with the help of a fellow musician or instrument repairer if possible. Many cases will require that you take the instrument apart – so much the better as this is the preferred manner for storage. If you play a stringed instrument, the tension should be released (similar advice then to when you fly with it). Next you need to prepare the space adequately – ensure that other items are covered with heavy duty cloths so that their condition does not affect the instrument. It is preferred to keep the instrument off the ground, so that rising moisture does not cause any problems, likewise do not leave in in the path of a draught. If you are worried about moisture, the best thing to do is keep the instrument case wrapped up in plastic, and if you are able to, even line the floor of the unit with plastic, which is a common practice when dealing with wooden furniture. Very heavy instruments such as pianos may need professional assistance in moving them in and out of the bay. I am sure you are aware they go horribly out of tune right away at the best of times, even more so when being moved around. Anyway there may be someone at the storage company with some experience in this area who might be able to help, or at the very least know somebody who can. Insurance must be accounted for as well. You surely must have a musical instrument policy, and it must include conditions for storage security that fit in with your self storage plans. Your self storage facility may not allow you to store your instrument without some form of specialist insurance, so another reason for going ahead with it – it’s well worth it. Take some precautions and your instrument will be in the same condition that you left it, and with a bit of a tune up, ready to blast out a few tunes again.